Dark Horse from Berlin are an innovation agency and offer workshops on New Work in their academy. Dark Horse was founded in 2009 by 30 graduates of the D-School at the Hasso-Plattner-Institute in Potsdam. 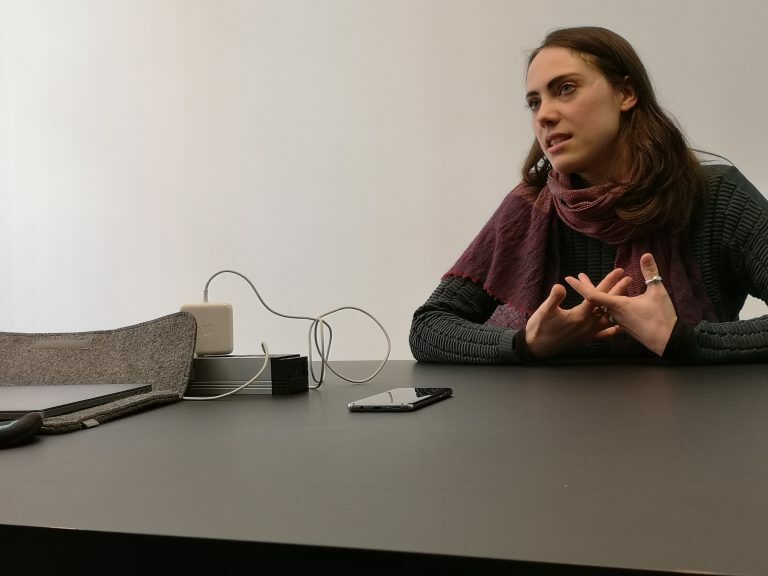 Based on the experience of how important collaboration and working at eye level is, especially in interdisciplinary teams, they have taken new paths in collaboration from the very beginning. The experiences of the first years can be read in their book „Thank God it‘s Mon- day“, published in 2014. Dark Horse Innovation enables organizations to utilize the market potentials of the digital age. 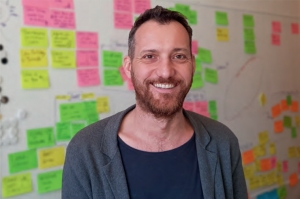 “We create user-centered products and services and transform structures, processes and minds to empower our clients to be more innovative.” Torben Lohmüller has only been a team member at Dark Horse for a relatively short time, but he is convinced of their approaches and is committed to teaching in the workshops offered. He talked to me about the changes in the world of work and New Work. Tell us about the Hybrid Thinking Academy. The Hybrid Thinking Academy is a project which we’ve had “incubating” in our minds for a long time as a concept. We all come from different academic disciplines but we all work in the field of innovation and agile transformation. The first reason why we wanted to start the Hybrid Thinking Academy is because that we saw the way people are taught innovation tools and methods is not very empowering. By that I mean that people hire “copy paste” consultants. This is someone who comes in, introduces a standard tool (such as a “persona”), hands over a template and then leaves. What we often see is that when you return to the company many months later, people are still using exactly the same templates, even if they don’t make sense. Often they are not adapted to new projects, contexts or data sets. The world of work has been experiencing fundamental and structural change for some years now. New Work is the epitome of this transformation. But the triggers for this development are manifold. 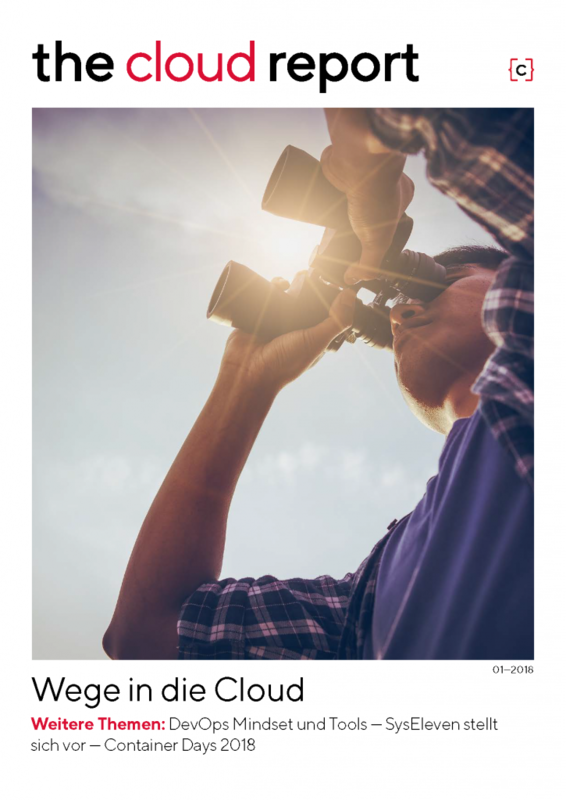 Globalization and demographic change, digitization and connectivity are among the causes for the change in the world of work. The question of how we deal with the New Work megatrend is becoming increasingly urgent. New Work is a collective term used to describe various, mostly alternative working models and forms. At the same time, however, the term also marks developments such as the transition to a knowledge society. The common denominator is the New Work concept of Frithjof Bergmann who developed the theoretical concept of the new work in the mid-seventies. The idea of relying onto Lift & Shift-approaches when considering the move into cloud environments is simple. And it is plain wrong and (financially) risky. And it will most likely be a disappointment in regard to scaling, availability and performance. Instead, one must think completely different of Cloud to actually gain an advantage. Let me explain and let me show you the pillars required for a successful cloud experience. 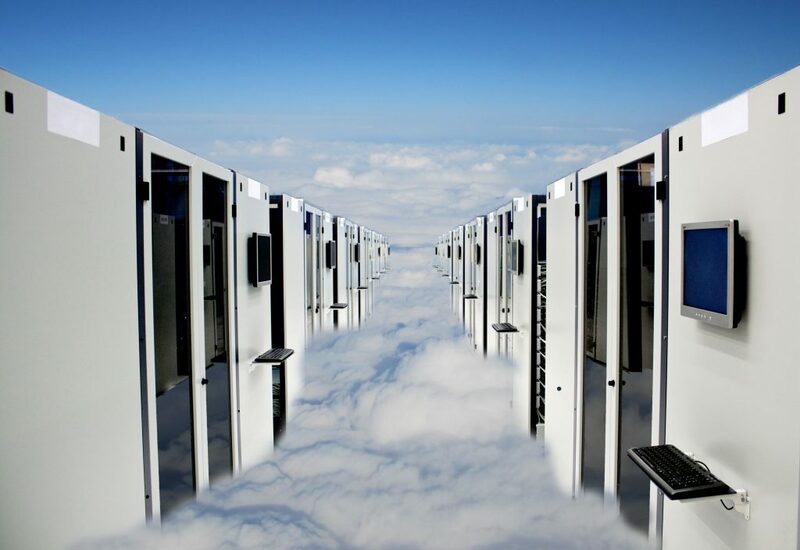 Cloud is often understood as a way of thinking of an infrastructure: automated, operated by a cloud provider, easy to set up. While this is true and while it could definitely be the right decision to move to public or private cloud providers, it gives the wrong impression: if you move into a cloud environment only by executing Lift & Shift approaches, you might perhaps save some money on the infrastructural side and perhaps some time on the provisioning side – but you simply exchange one datacenter operator (yourself or your current one) by another, very generic, one (Microsoft, Amazon, Google, Digital Ocean, etc., figure 1). In fact, quite often you do not even save money, since the overwhelming number of offerings and the reduced amount of customization can cause lacks of transparency and might even lead to higher operational costs, as the cloud environments are typically operated on an infrastructural level only, leaving management and operations in your hands. 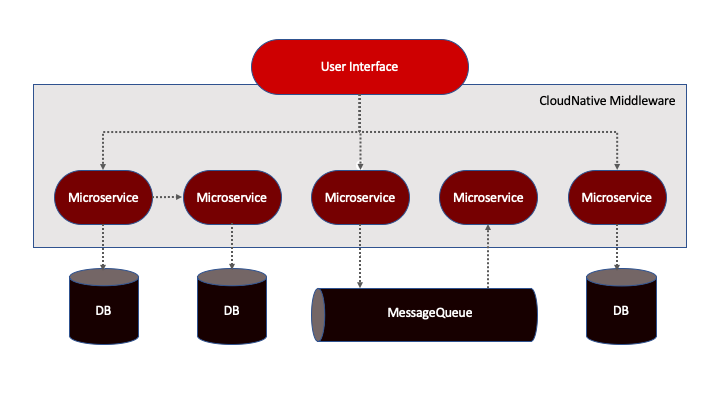 If you only execute a Lift & Shift approach, your software and middleware will not substantially benefit from what cloud actually has to offer: automated scaling, fail-over-functionalities, zero-downtime deployments, and so on. You might mimic these functionalities by bringing in more infrastructure – but at which costs? Or you would use proprietary offerings from these cloud providers. Which will tie you to them and trap you inside their ecosystem. This kind of vendor lock-in is to be considered a major risk for any enterprise and project and should therefore be avoided. The business of the future needs Hybrid Thinkers: interdisciplinary, self-organized, collaborative, creative and courageous people, who can combine different tools and fields of expertise. 1. 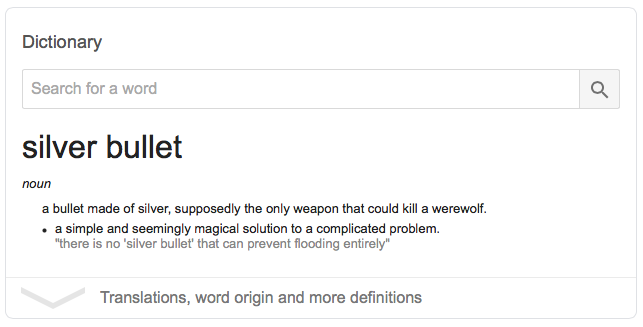 A bullet made of silver, supposedly the only weapon that could kill a werewolf. 2. A simple and seemingly magical solution to a complicated problem. I’ve heard the question so many times before: “How can we become an agile company?” People ask me because in their eyes, I am an expert. But then they don’t really want to hear my answer because what I say seems too complicated. Or rather, I can’t give a single straightforward answer. So, I’ll say it now: there is no single straightforward answer to the question of “how to be prepared for the future”. And the era of relying solely on expert knowledge to answer all our problems will soon be over. 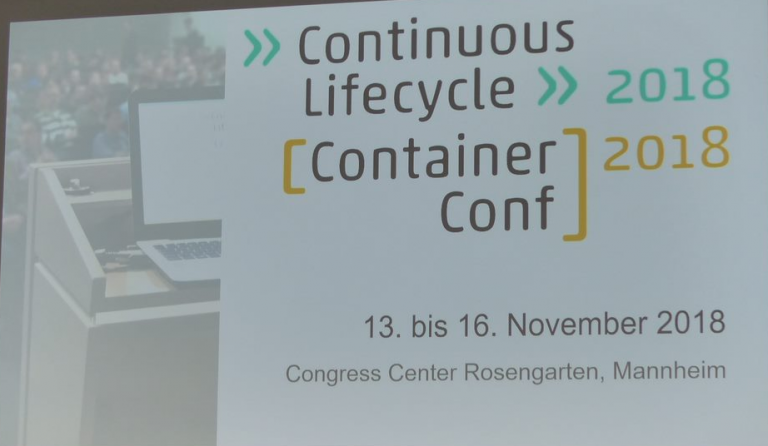 Zwei große Themen in einer Konferenz, der Continuous Lifecycle und die Container Conf, zogen über 700 Teilnehmer nach Mannheim, die sich vier Tage lang in die Welt der CD, Deployment, Cluster, Migration, Docker, Istio, Kubernetes, Cloud Native Development, DevOps … versenkten, lernten und diskutierten. Fragen wurden aufgegriffen und beantwortet: Wie bringt man Dev und Ops zusammen in einem agilen Prozess? Wie kann Development für und in der Cloud aussehen? Welche Tools gibt es und wie kann man sie am besten einsetzen? Helm, Draft, Skaffolk? Wie kann die CI/CD-Pipeline optimiert werden? Was kann sinnvoll automatisiert ablaufen? Wie sieht es aus mit Infrastruktur, Testing und Monitoring? Was braucht man, um Container “sauber” zu bauen, und, dass die Apps darin gut laufen, aktualisierbar sind, getestet werden können und sicher sind? Was darf der Container, was sollte er nicht dürfen? Wohin kann Leading Edge noch führen? Berlin. 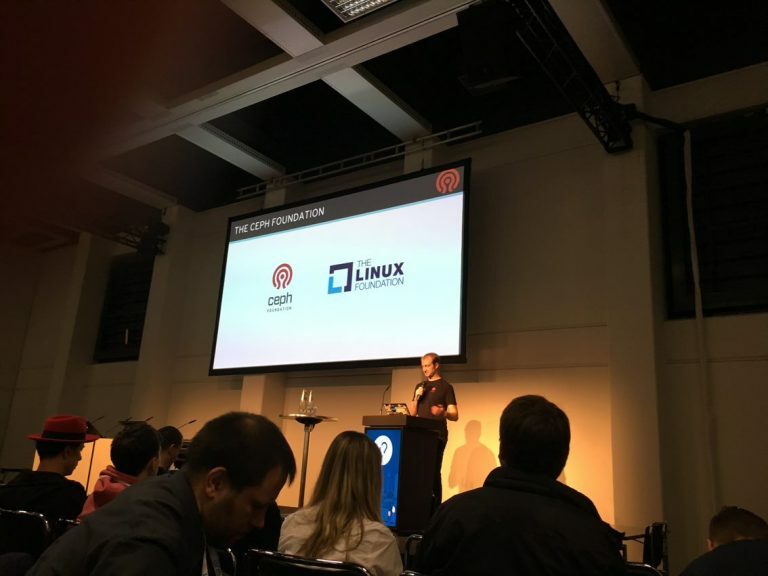 Im CityCube Berlin wurde im Vorfeld der OpenStack Summit ein Tag, am 12.11.2018, dem alleinigen Thema Ceph gewidmet. Cloudibility war mit drei Personen ebenfalls dabei, wenn auch nur als Besucher. Der Ceph Day Berlin war eine ganztägige Veranstaltung, die sich der Weitergabe der transformativen Kraft von Ceph und der Förderung der pulsierenden Ceph-Gemeinschaft gewidmet hat und von dieser und ihren Freunden ausgerichtet wurde. Ceph ist ein skalierbares, Open-Source- und Software-definiertes Speichersystem, welches die Wirtschaftlichkeit und das Management von Datenspeichern für Unternehmen grundlegend verbessern kann. Es waren schätzungsweise 350 Teilnehmer aus verschiedensten Sprachräumen an diesem schönen Herbsttag anwesend und widmeten sich fast ausschließlich den Vorträgen und Gesprächen untereinander in den Pausen und am Ende der Veranstaltung. 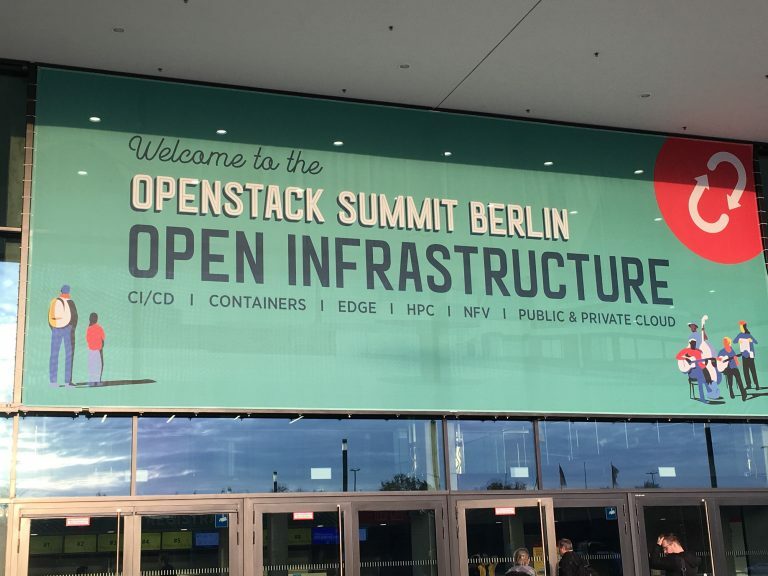 After a couple of month as a Cloudibility employee, I felt brave enough to visit the OpenStack Summit. Middle November, rain in the air and a lemming migration towards the CityCube Berlin. What could possibly go wrong? OpenStack is a free and open-source software platform for cloud computing and the pertain community. This community inhere companies, organizations and individuals that develops software, or in other ways support OpenStack. 2010 Openstack started as a joint project of Rackspace Hosting and NASA, but as of 2016 it is managed by the OpenStack Foundation. Since then more than 500 companies have joined the project. Der Prozess der digitalen Transformation beschäftigt derzeit den Industriestandort Deutschland; zahlreiche Programm- und Projektleiterinnen arbeiten intensiv daran, einzelne Produkte oder Anwendungen in neuen, digitalen Kontexten zu etablieren. Die Allgegenwärtigkeit des Begriffs wirkt auf viele Betrachter ermüdend. Letztlich ist sie aber ein Beleg für die Vielschichtigkeit von technischen, wirtschaftlichen und organisatorischen Veränderungsprozessen, die Projektleiter und Mitarbeiterinnen als digitale Transformation erleben. Um diese Komplexität wirksam zu gestalten, brauchen Projektleiter ein adäquates Skill-Set, das sie befähigt, den Transformationsprozess nicht nur technisch zu organisieren, sondern auch die Mitarbeiter dafür zu gewinnen. Anhand des Cloud Computing werden in diesem Beitrag sowohl das der Technologie innewohnende Veränderungspotenzial skizziert, als auch die erforderlichen Kompetenzbereiche, die sich daraus für Projektleiterinnen ergeben. 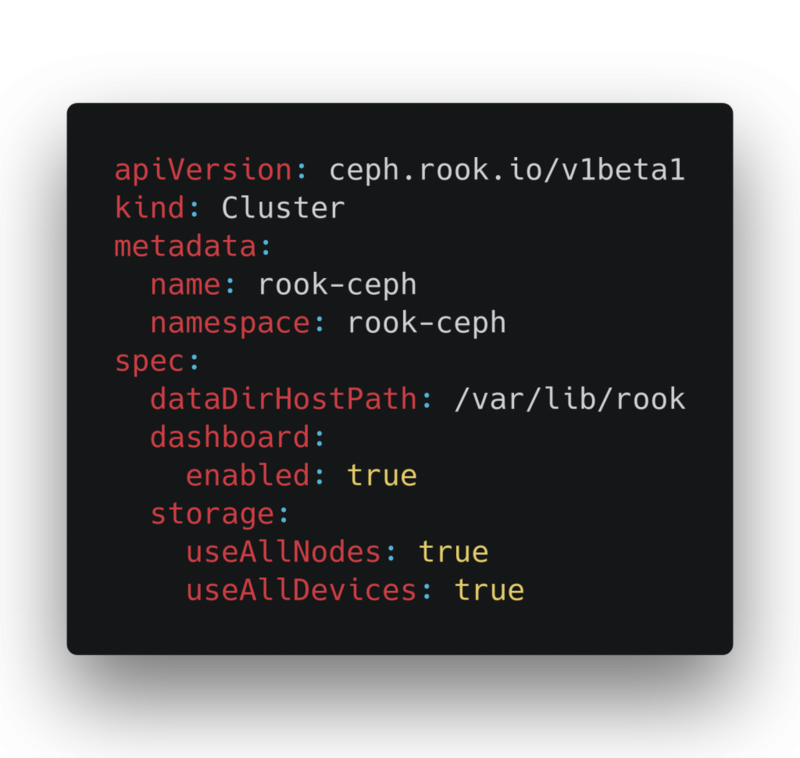 Rook allows you to run Ceph and other storage backends in Kubernetes with ease. Consumption of storage, especially block and filesystem storage, can be consumed through Kubernetes native ways. this allows users of a Kubernetes cluster to consu- me storage easily as in “any” other standard Kubernetes cluster out there. allowing users to “switch” between any Kubernetes offering to run their containerized appli- cations. Looking at the storage backends such as minio and CockroachDB, this can also potentially reduce costs for you if you use rook to simply run the CockroachDB yourself instead of through your cloud provider. Aren’t we all loving the comfort of the cloud? Simple back-up and also sharing of pictures as an example. Ignoring privacy concerns for now when using a company for that, instead of e.g., self hosting, which would be a whole other topic. I love being able to take pictures of my cats, the landscape, and my food and sharing the pictures. Sharing a picture with the world or just your family is only a few clicks away. The best of that, even my mother can do it. 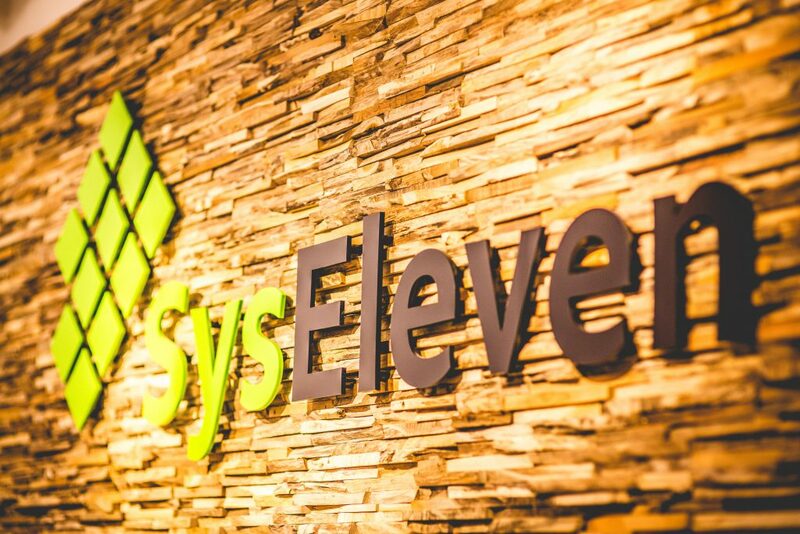 In today’s It ecosystem, the cloud has become synonymous with flexibility and efficiency. Though, all that glitters is not gold since applications with fixed usage patterns often continue to be deployed on-premises. This leads to hybrid cloud environments creating various data management challenges. 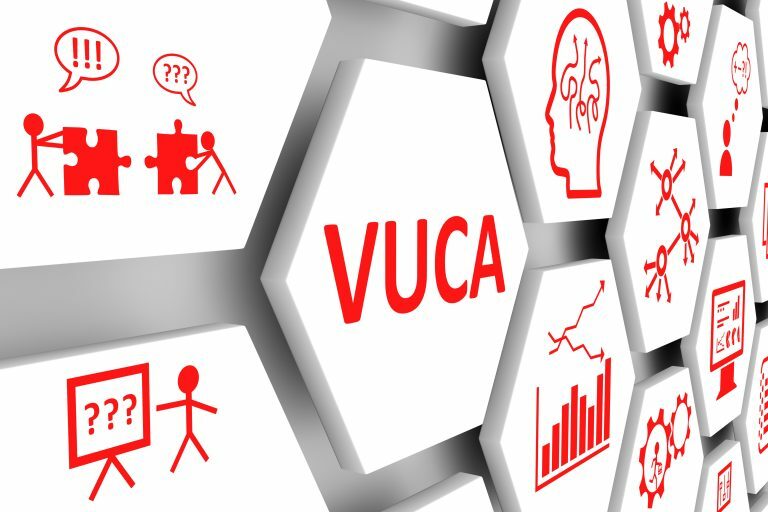 This article describes available solutions to tackle risks such as scattered data silos, vendor lockins & lack of control scenarios. The famous quote of Henry Ford “If you always do what you’ve always done, you’ll always get what you’ve always got” describes pretty accurately what happens once you stop challenging current situations to improve them for the future: you become rigid and restricted in your think- ing with the result of being unable to adapt to new situations. In today’s business environment, data is considered as the base to help organizations succeed in their digital transformation by deriving valuable information leading eventually to a competitive advantage. The value of data has also been recognised by the Economist in May 2017, stating that data has replaced oil as the world’s most valu- able resource. Why is that? The use of smartphones and the internet have made data abundant, ubiquitous, and far more valuable since nowadays almost any activity cre- ates a digital trace no matter if you are just taking a picture, having a phone call or browsing through the internet. Also, with the development of new devices, sensors, and emering technologies, there is no doubt, that the amount of data is further growing. According to the IBM Marketing Cloud report, “10 Key Marketing Trends For 2017,” 90 % of the data in the world today has been created in the last two years from which the majority is unstructured. 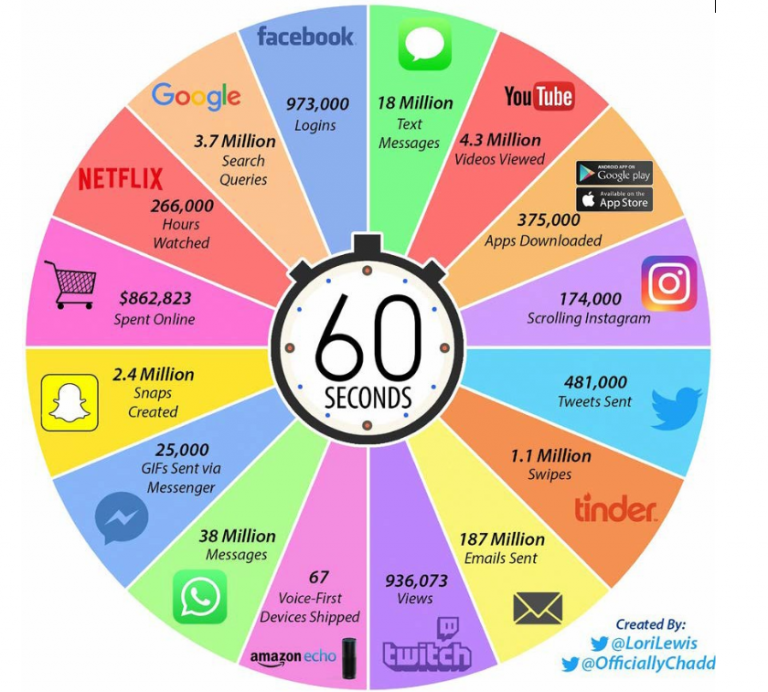 To become an understanding of this, figure 1 illustrates the number of transactions executed every 60 seconds for a variety of data related products within the ecosystem of the internet. Estimates suggest that by 2020 about 1.7 MB of new data will be created every second for every human on the planet leading to 44 zettabytes of data (or 44 trillion giga- bytes). The exploding volumes of data changes the nature of competition in the corporate world. If an organization is able to collect and process data properly, the product scope can be improved based on specific customer needs which attracts more customers, generating even more data and so on. The value of data can also be illustrated within the Data-Information-Knowledge-Wisdom (DIKW) Pyramid referring back to the initial quote (figure 2). Typically, information is defined in terms of data, knowledge in terms of information, and wisdom in terms of knowledge hence. Data is considered as the initial base to gain wisdom. 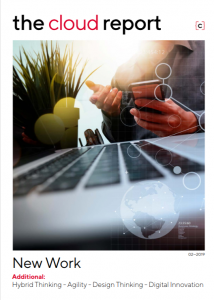 As a result, the key to success in the digital era is to maximize the value of data. That might mean improving the cus- tomer experience, making information more accessible to stakeholders, or identifying opportunities that lead to new markets and new customers. Kim-Norman Sahm ist Head of Cloud Technology bei der Cloudibility und als Experte in den Bereichen OpenStack, Ceph und Kubernetes unterwegs. Als typischer Ops-ler ist er im Thema Storage Zuhause und hat schon einige Ceph-Projekte umgesetzt. Speichermöglichkeiten und -kapazitäten spielen im IT-Umfeld schon immer eine große Rolle, mit dem Gang in die Cloud verändern sich diese Möglichkeiten aber sehr, wie sie sich verändern und wie Ceph dabei eingebunden werden kann, sind wir in diesem Interview auf den Grund gegangen. 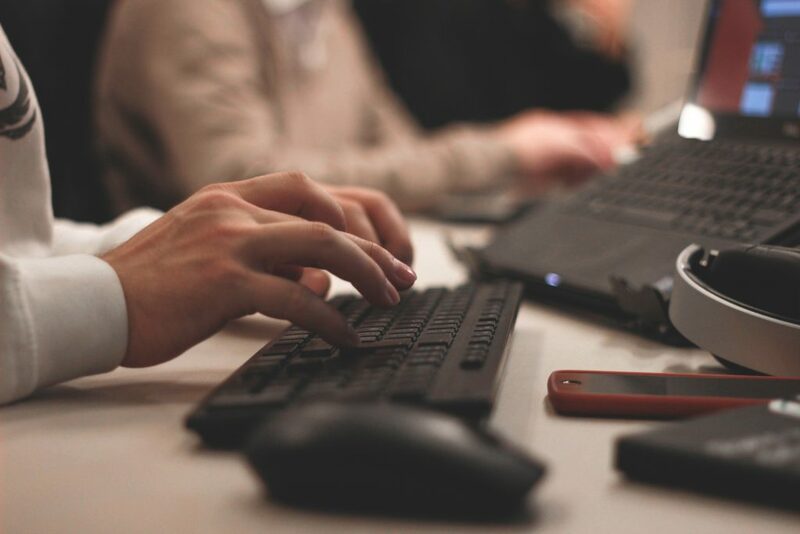 The current tendency is that customers want services and products faster, more secure, rigid, lighter, and of course, simple to run and maintain. 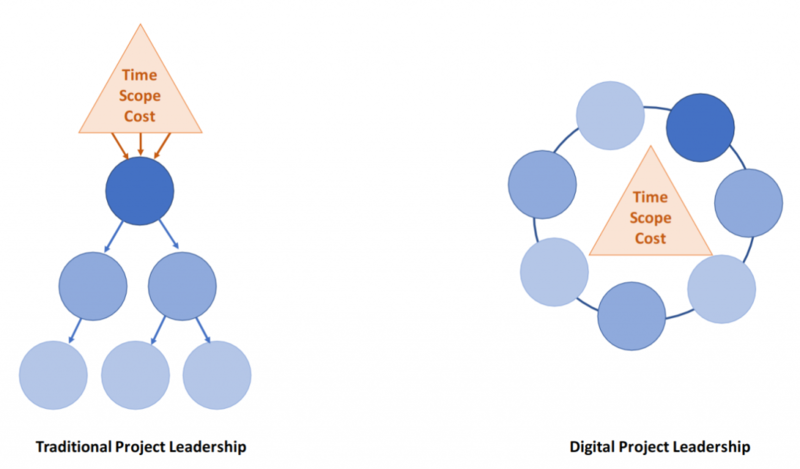 One of the platforms that holds all those requirements is the digital one. 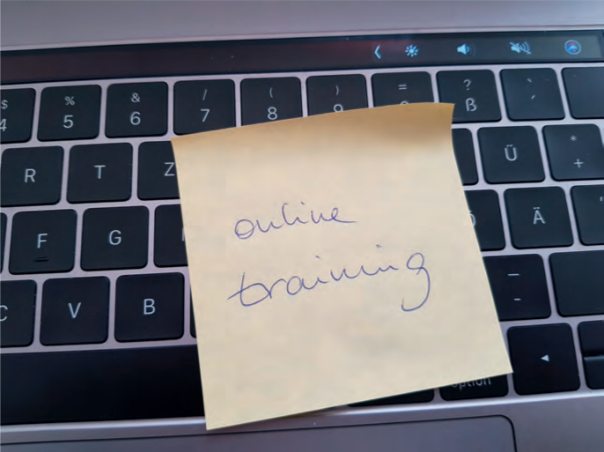 And as we know, in order to start a digital business, you have to spend time with your product and IT team, making sure everybody understands the product that you are selling and the methodologies to follow. Also, you have to have money to build it and as we know, it is not a cheap initiative. Nowadays, It is incredibly hard to start or launch a digital business following that path given the current speed of innovation in the market. Without forgetting the maintenance part, licensing and upgrade. From there, it came a solution to all those problems: cloud computer services and Saas. What is Cloud Computer Services? C.C.S is the mixed of three different models of cloud computing that put all together creating what we know by the “clouds”. It enables businesses to use software located in the vendor´s cloud instead of having their own infrastructure and the mantaninance from it. cleaner… we are surrounded by them and most of the time we are not aware of the quantity. We even have robots in Mars! innovations. However, they are very difficult to design and built. Laut einer repräsentativen Umfrage von KPMG und Bitkom Research nutzten im vergangenen Jahr zwei Drittel aller Unternehmen in Deutschland die Cloud. Im Vergleich zum Jahr 2016 entspricht das einem Wachstum von lediglich einem Prozent. Das Thema ist zwar weiterhin attraktiv – jedes fünfte Unternehmen plant oder diskutiert den Cloud-Einsatz. Aber in den Jahren der großen Cloud-Begeisterung hat sich eben auch gezeigt, dass die Migration längst kein Selbstläufer ist. Wer ohne sorgfältige Vor- und Nachbereitung IT-Ressourcen in eine Cloud verlagert, dem drohen Performance-Probleme, Ausfälle und unzufriedene Nutzer. Abhilfe schafft ein planvolles Vorgehen in vier Schritten. Alle reden von “Cloud”. In diesem Artikel wird das Thema für Einsteiger erklärt. Es werden die unterschiedlichen Liefermodelle beschrieben, was die Unterschiede zwischen Public, Private, Hybrid und Community Cloud sind. Außerdem werden die verschiedenen as a Service Modelle (in Auswahl) vorgestellt und voneinander abgegrenzt: IaaS, PaaS, SaaS, CaaS, … Alles wird in einfachen Worten, technisch korrekt, aber allgemein verständlich wiedergegeben, sodass jeder mitreden kann, wenn mal wieder von “Cloud” die Rede ist. Cloudibility UG veröffentlicht die erste Ausgabe des Cloud Report, ein Journal das sich mit allem rund um die Cloud beschäftigt. Wie kommt man in die Cloud? Eine Migration in Cloud-Umfelder muss strukturiert und mit Planung angegangen werden. Es handelt sich dabei keinesfalls nur um einen rein technischen, sondern einen sehr stark auch administrativen und prozessualen Vorgang, der für Unternehmen in Bezug auf Zusammenarbeitsmodelle und Herangehensweisen ein großes Veränderungspotenzial birgt. Dieser Handlungsleitfaden will Ihnen den Umstieg in die Cloud erleichtern, in dem er wichtige Aspekte und Schritte hervorhebt und näher beschreibt. Selbstverständlich kann er keinen Anspruch auf Vollständigkeit erheben, Unternehmen sind zu unterschiedlich strukturiert und aufgestellt – aber er kann Ihnen wertvolle Anregungen für Ihren Schritt in die Cloud geben. Als Premium Internet Service Provider übernimmt SysEleven Verantwortung dafür, dass die Applikationen seiner Kunden nicht nur wirtschaftlich, sondern auch bei unerwarteten Lastspitzen performant laufen. Die Infrastrukturen stellt SysEleven über Managed Hosting Services und über seine eigene OpenStack-basierte IaaS-Cloud bereit. Darüber hinaus bietet SysEleven mit MetaKube ein Kubernetes as a Service, mit dem Kunden die Container-Orchestrierung zusammen mit essentiellen Add-ons nutzen. 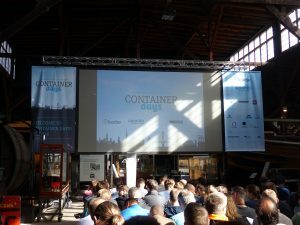 Zum dritten Mal waren Firmen, Techniker, Experten und ich nach Hamburg eingeladen zu den Container Days, die von Loodse ausgerichtet werden. Drei Tage (18.-20. 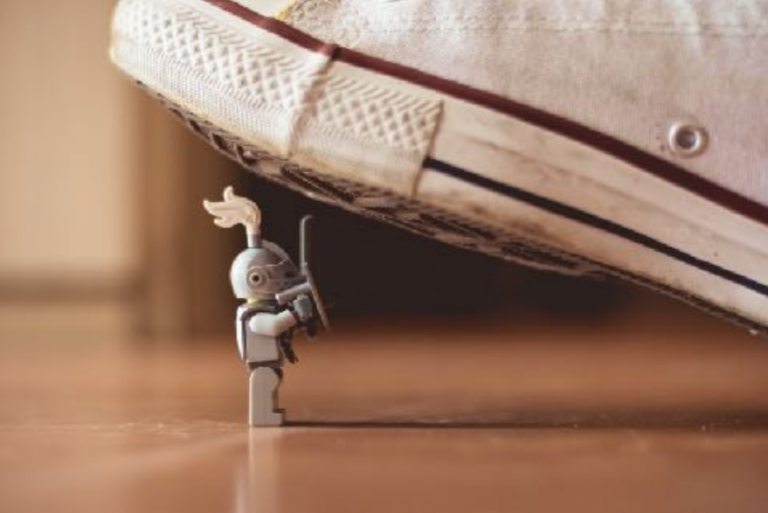 Juni) wurde intensiv über Cloudtechnologie, Kubernetes, Docker, Istio, Container, Storage, Sicherheit, … und immer wieder Kubernetes gefachsimpelt. Ich war zu diesem Zeitpunkt erst seit einigen Wochen in dieser Fachrichtung unterwegs und verstand… nichts oder so gut wie nichts. Meine Kollegen hatten sich im Vorfeld alle Mühe gegeben, mir die Grundbegriffe zu vermitteln, aber das Niveau der Vorträge ging sogar in den Einsteiger-Talks weit über reine Grundbegriffe hinaus.